Plate holders There are 13 products. 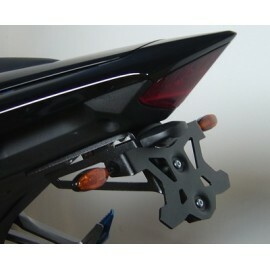 Top Block plate holder with light but no indicators. 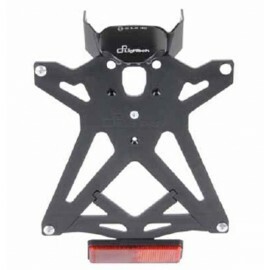 Rizoma Fox License plate support with reflector and plate lightning. 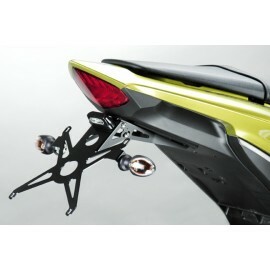 High-end design product made in aluminium cut in the mass. 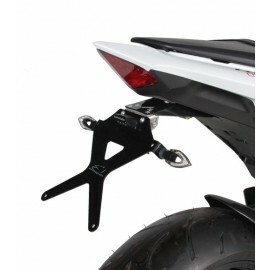 4-points license plate holder for CB1000R. 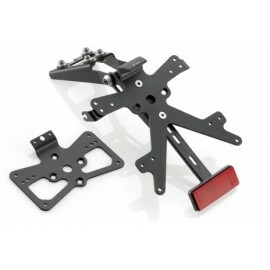 Laser-cut for a great finish, the kit includes LED lighting and the original turn signal bracket. As an accessory, an adapter to keep the OEM reflector. 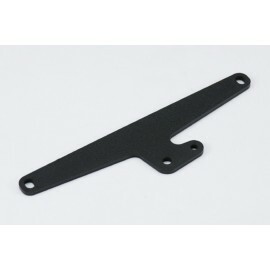 DPM adapter to install OEM reflector on the license plate holder. 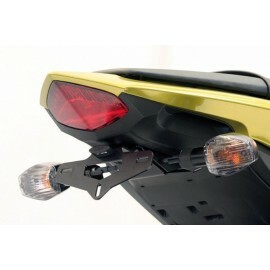 Stainless steel R&G license plate holder with plate lighting included. 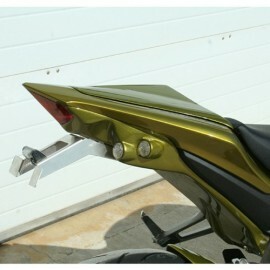 Assembly without modification with possibility to keep the OEM indicators. 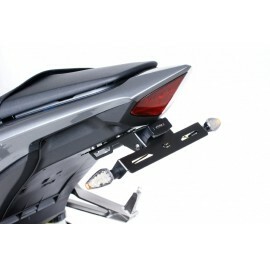 Barracuda fender eliminator supplied with full mounting kit except indicators/light/reflector.